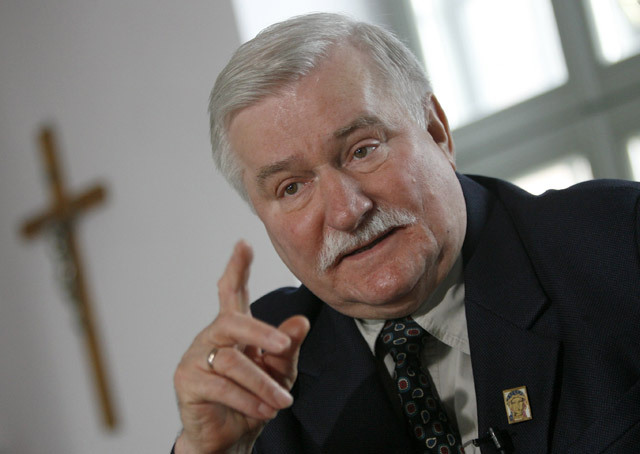 Lech Walesa Is Warning Us. Are You Listening? Lech Walesa, a name unknown to many younger people who were born in the 1980’s, but a name we heard often during the time. Walesa, born during the Nazi occupation of his native Poland in 1943, grew to adulthood behind the Iron Curtain that separated a free Europe to the west and an enslaved Europe to the east. The son of a peasant farmer, Lech Walesa, a simple shipyard worker in Gdansk, ignited the spark of freedom in Poland through his organizing of free labor unions, most notably Solidarnosc (Solidarity), in opposition to communist labor unions. With the support of such world leaders as America’s President Ronald Reagan and Britain’s Margaret Thatcher, Soviet Premier Mikhail Gorbachev abandoned the Polish Communist government, leading to Lech Walesa being freely elected the President of free Poland in 1989. Possibly out of a sense of appreciation for American support, or disillusionment with Barack Obama’s backing out of the Bush administration’s plan of a deterrent missile shield in Poland, Walesa recently traveled to America, Illinois specifically, to openly endorse and support the Republican candidate, Adam Andrzejewski for the Illinois Governor’s race. FoundingBloggers.com had the opportunity to sit and talk with President Walesa and have an 8-minute video presentation at the link provided. “The United States is only one superpower. Today they lead the world. Nobody has doubts about it, militarily. They also lead economically, but they’re getting weak. Unlike thug SEIU president, Andy Stern who says, “If we can’t use the power of persuasion, we will use the persuasion of power,” and embraces the communist slogan of “workers of the world unite,” Lech Walesa warns America that the world needs New Solidarity, standing up to thugs like the SEIU and other oppressive unions blindly following the teachings of Saul Alinsky and their minions in the government. His call led Poland to freedom. Are you listening? Will you keep America free?